Tribus-D are proud to be involved with organisations that promote cutting edge research and are pleased to provide the following external websites that may be useful. 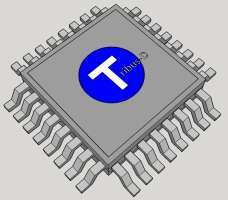 Please note that Tribus-D do not take responsibility for their content. Promoting the operation and growth of the microelectronics industry in the UK and Ireland. Bring people together - from Business to Academia - to meet each other and share ideas, encouraging collaboration and partnership for shared success. Please contact Tribus-D to discuss how we can support your project.